Alisia Gwendolyn Miles, daughter of the late Glenden A. and Rachel E. Harmon, was born October 5, 1946, in Milford, Delaware. She departed this life on January 29, 2019, at Chriistiana Hospital in Newark, Delaware. Alisia received her early education in the public schools of Milford, Delaware, and she graduated from De La Warr High School, New Castle, Delaware in 1964. She then went to work for Blue Cross Blue Shield in 1966. She retired after 45 years of service. On September 1, 1973, Alisia was united in holy matrimony to Edward N. Miles, Sr., and from this union was born son, Haile K. Miles, Sr.
Alisia was a member of Faith City Family Church, Newark, Delaware, until her illness. She enjoyed cooking, crocheting, sewing, shopping, spending time with her grandchildren, crossword puzzles,, and coordinating family events. When you saw Alsia, you saw her husband Edward. They did everything together, from grocery shopping to doctor's appointments, vacationing and attending family events just to name a few. Alisia enjoyed spending time with her son and grandchildren. Alisia was preceded in death by one brother, Michael R. Harmon. 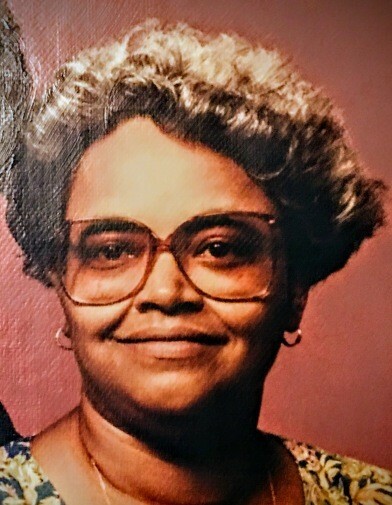 She leaves to cherish her memory, Edward N. Miles, Sr., the love of her life; Haile K. Miles, Sr. (Nakeena), Edward N. Miles, Jr., Eric D. Miles; loving god-daughter Michelle Brown (Steve), brothers, Alvin V. Harmon (Vida), and Glendon A. Harmon, Sr. (Jacqueline); sisters, Marlene V. Harmon , Frances A. Harmon, Beverly M. Bruce, and Valerie R. Davis; grandchildren, Rocshon E. Murphy, Jamin D. Taylor, Jabree Booker, Derrick D. Ballard, Azuryah A. A. Miles, Haile K Miles, Jr., YesniaLee A. Miles, Emani Jackson, London R. Miles and great-grandchild Jesiah K. Murphy, and a host of nieces, nephews, cousins, and friends. Alisia affectionately known as "Leasy, Lisha, Nana and Ms Lisa, was loved by many and will be sadly missed. Let us rejoice knowing she is rejoicing with the Lord! Her Memorial Service,will be 2 pm, Saturday, Feb. 9, 2019, at Faith City Family Church, 179 Stanton-Christiana Rd, Newark, DE 19702; visitation 1-2 pm. Her Interment will be Private.